This How To has been put together with Windows XP in mind. So you want to play some Audio in the room huh? cool!! dont know how? no problem!! Follow the Steps below. 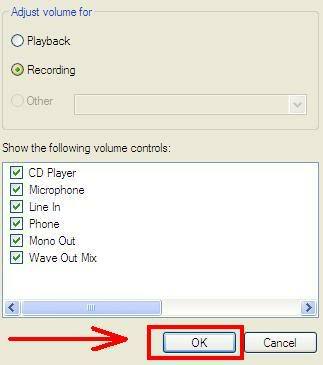 You will Need to click on "OPEN VOLUME CONTROL" When it opens, Click on "OPTIONS"..
From there, Click on "RECORDING" then Click "OK" as shown below.. Finally, the last menu..... After you click ok you will see the following open..
See the box's iv Highlighted there? 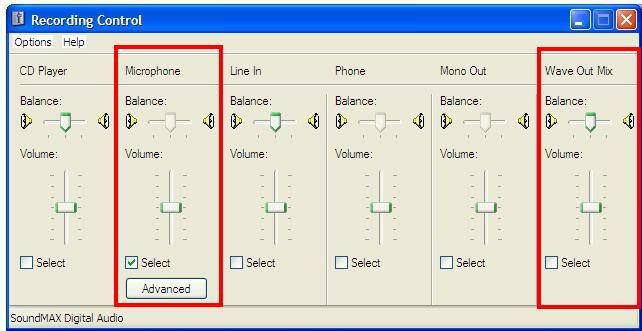 All you need to do is click one of those box's and thats the One that will send SOUND to paltalk. 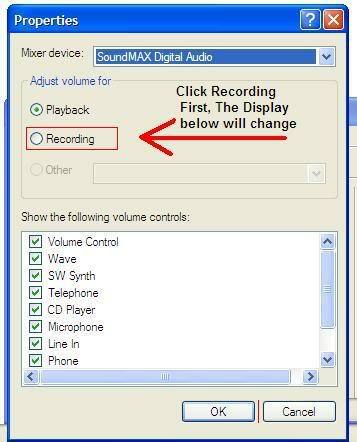 So if you want to be heard, click "MIC" if you want to play music, or the sound from a youtube video click on "Wave Out Mix"